Charlotte Says: "Your skin looks healthy, glowing, refreshed. Makeup goes on like magic. There is no glow like it!" 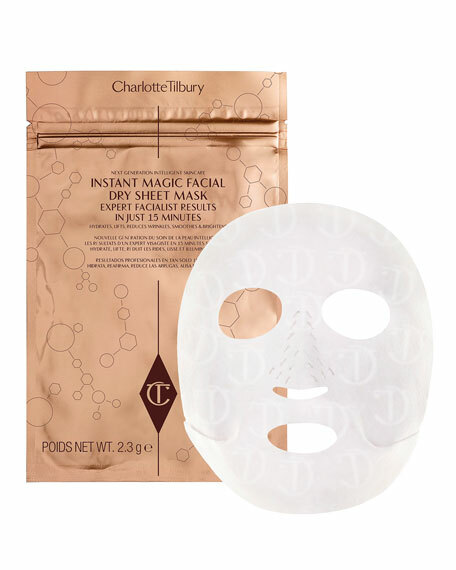 Imagine a revolutionary mask that could make all of your magic skin wishes come true... Tilbury has revolutionized the sheet mask world, in a sensational collaboration with a laboratory of the future, to create a UNIQUE DRY sheet mask that is a super-charged bio-mimetic delivery system which is able to give the same level of attention to your complexion that Charlotte would herself! Because it is dry, it won't harbor bacteria like wet sheet masks. Use this mask up to 3 times anywhere, and anytime. It's next generation intelligent skincare. Why is this mask the technology of the future? 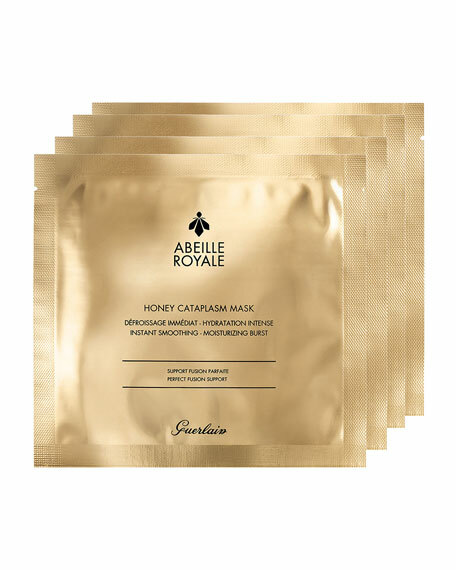 It is a DRY textile mask imprinted with active ingredients; most sheets masks are water and glycerin that you slop onto your face and over-saturate. It has a bio-mimetic vector delivery system that allows for a prolonged release of actives and powers them into the epidermis. 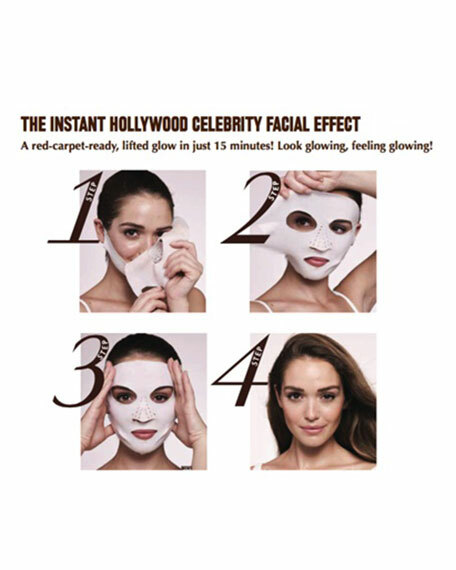 The burst release effects of this mask last for up to 8 hours. 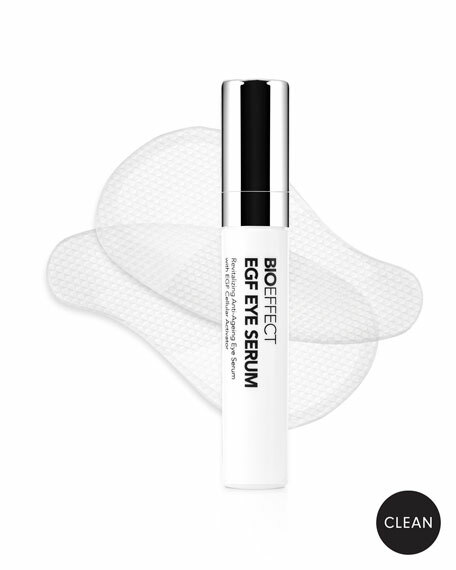 The technology has a built-in 5 skin solution IQ which allows it to feed the skin exactly what it needs. The skin-mimicking ingredients fill the intercellular gaps to reconstruct the skin. It has the higher dosage of active ingredients and the most potent delivery system. Vitamin B3 brightens tone and revives the skin's glow. The Plant Stem Cell Matrix lifts the skin, and helps to decrease wrinkles. Crocus Bulb Extract re-densifies the skin. It supports reconstruction, and encourages collagen/elastin production. 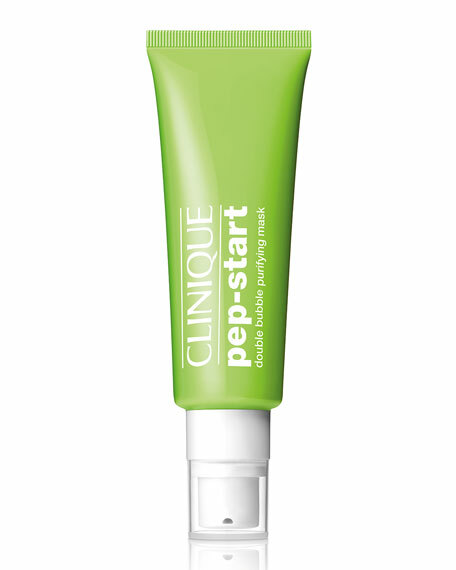 Peptides work together to reduce wrinkles. Magic oils & butters help strengthen the Lipidic barrier for a natural, nourished glow! Instantly smoothes, reduces wrinkles, brightens, lifts and hydrates exactly where your skin needs it most! 91% agreed of women they had softer skin. 91% agreed of women said their skin was more hydrated. 85% agreed they had brighter, more glowing skin. 88% agreed that the mask actively evened their skin tone. 85% of women agreed it reduced roughness, and smoothes. 91% of women said on women it illuminated, and reduced tired marks. 70% agreed that wrinkles were considerably reduced. 73% agreed that their facial contours were noticeably lifted. *Tested on 30 women over a two week period. 3 USES  Each mask can be re-used up to 3 times! With no need for water, this mask is perfect for travel. EASY-FIT EAR LOOPS  The mask has specially designed ear loops that slip over the ears and fasten, so you can multitask whilst the magic happens! Simply unfold the mask, placing the pink side onto clean skin, and loop top hooks over the ears ensuring the mask is positioned comfortably over the forehead, nose and eyes. Then loop bottom hooks over the ears, ensuring the mask is smoothed over every contour of the face, chin and jawbone. 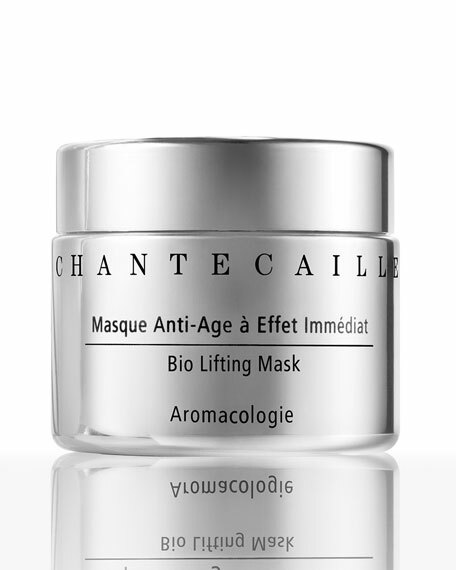 Gently massage on top of the mask to activate the magic ingredients and relax for 15 minutes with the mask on.